Showing 15 articles from April 7, 2013.
at Wallace Pond in Toledo. 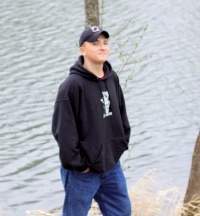 Sixteen-year-old Forrest Swanson was fishing with his sister on her birthday adjacent to another family with three girls, a young boy and their grandfather. Swanson, a Toledo High School student, noticed the young boy was getting pretty rambunctious. A bit more rain and wind recently, but everything greening up beautifully. While we are used to our evergreens year ‘round, the budding deciduous trees (the ones that lose their leaves) provide another green that is bright and brilliant. The tulips are starting to do their thing, but only the ones behind fences are safe from the deer. While some folks took in their flags over the winter, it’s good to see so many of them going back out. Visitors love seeing them (and wonder what the funny poles and white things are if they aren’t flying), and their designer will be pleased to see them when he returns. Toledo High School presents Coffee House 7 p.m. Thursday. Enjoy local talent and participate. Song, dance, poetry, stand-up, etc. with cookies and java. Visit www.toledo.k12.wa.us or call (360) 864-2391. Toledo's Mighty Fine Seniors serve breakfast Saturday, $5 for homemade biscuits and gravy for Early Risers, eggs and ham plus endless 'cakes for the rest. Hoe Down April 27 at 5 p.m. Toledo Senior Center, $8. Dinner plus entertainment. RSVP. Contact Diana, diana.haug@lewiscountywa.gov or (360) 864-2112. May Day Celebration – May 4: Here's hoping it's a sun-filled day for the parade and festivities! Everyone wishing to be in the parade should have their entry forms filled out and returned in as soon as possible! Raffle tickets ($1.00 each) for a huge selection of wonderful prizes including a great fishing trip for two on the river of your choice - (Columbia, Cowlitz, Kalama, or Lewis Rivers) tickets will be sold during the parade, drawings will be right after the parade. Correction: There will be no car show. If all the weather continues (which I most assuredly hope that it does), the Winlock Farmer’s Market is all set to begin this Wednesday. If the weather turns all wintry again, though, it probably won’t start until the following week. Afterwards, they’ll be open every Wednesday from 9 a.m. to 3 p.m. Things are getting exciting, too, as the market just signed up quite a few vendors for the new season, but they are always on the look-out for more. If you’re interested in registering as a vendor or if you have questions, please contact Jeanie at (360) 785-4817. Arnold Phillip Hill, a lifetime South Bend resident died Thursday, April 4, 2013 at the Willapa Harbor Hospital in South Bend; he was 90 years old. Arnold was born May 9, 1922 in South Bend to Otto A. and Ingrid (Nordman) Hill. 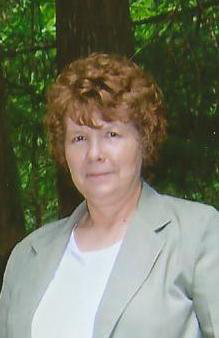 After losing her battle with cancer, Carol Jean Nelson died April 4, 2013 surrounded by her family and friends in Lafayette, Oregon. James Osborn Blaylock, age 95, passed away at his residence in Olympia, Wash. from natural causes on April 7, 2013. Arne Clifford Ranta, of Longview, died March 27, 2013, at Hospice Care Center. Born in Lee, Minn. August 21, 1924, he was 88 years old. Ranta was preceded in death by brothers Frank "Harold" Ranta and Eugene Ranta. Vader is entering the last leg of efforts to reclaim its water system, with new hookups perhaps closer on the horizon than previously believed. During the April 2 Vader City Council Meeting, Mayor Ken Smith said talks with Lewis County to regain control of the Vader/Enchanted Water System have completed mediation and a memorandum of understanding will soon be ready for council approval. A local teen was cited after allegedly falling asleep at the wheel near Winlock Saturday, according to the Lewis County Sheriff’s Office. The 17-year-old male driver of a 2002 Ford Ranger, of Winlock, had been traveling south on the 400 block of N. Military Rd. at around 4:40 p.m. when his vehicle veered into the oncoming lane, then left the roadway and struck the side of a tree. The driver told deputies he was tired and had fallen asleep and he was cited for negligent driving, second degree. A group of Jamaican lottery scammers are starting to target residents in Lewis County with a tactic that’s a little different than before. Popular scams inform victims they have won a cash prize and need to wire a fee before collecting it, with the person on the other end of the line being more than happy to tell you where and when to send the payment. Now, because of increased enforcement against such fraud, victims are being asked to call back a hotline for further instructions, which makes spotting the scams a little easier. Dawn U. Learmont, 38, of Vader, is wanted by Lewis County Superior Court on no-bail warrants in connection with identity theft and possesion of stolen property. Looking to join a retirement facility but wary of traveling outside Lewis County? 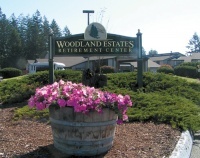 Woodland Estates Retirement Center, based in Chehalis, is able to provide the comforts of home with the security of living in a community, and has multiple units currently available. Ranging from studio apartments to cottage duplexes, Woodland Estates is able to cater to a wide array of budgets and lifestyles.